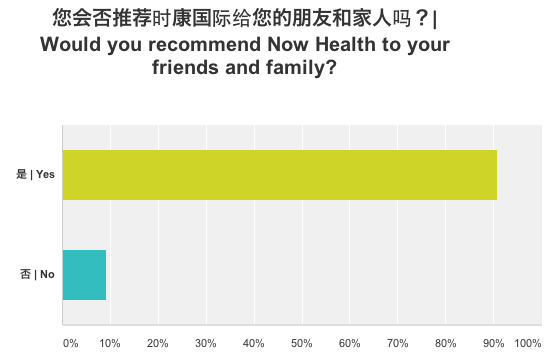 We are delighted to share with you the results our first customer survey for customers in China. 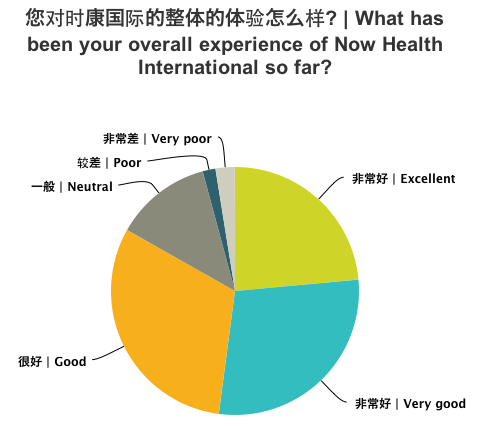 The survey took place over January 2014, where both individual and company members were asked a series of questions about their experience with us so far. As well as being a fascinating learning experience for us, it has also provided some insight into how the proposition has come to life for our customers who use the service on a day-to-day basis. Many of the results of the survey illustrated that much of the hard work gone into building a scaleable top-end service proposition has paid off. There are very high advocacy rates with 91% of respondents stating that they would recommend us to their friends and family. In addition, 84% of respondents also their experience as 'Good', 'Very Good', or 'Excellent'. And 53% of that answer accounts for the portion of 'Very Good' or 'Excellent' answers. These two responses alone demonstrate that the product, service and online platform consistently delivers the kind of proposition your clients need from their international health insurance provider. We are clearly delighted by these results as they provide us with tangible proof of our ability to deliver top-end service to a fast growing member base. We are committed to continue developing our service for both our intermediaries and our customers. We will be developing new online functionality for customers during the course of 2014 and are also continuously reviewing our own internal processes and procedures to ensure that we are really easy to do business with. If you would like to talk to us about any new opportunities or about any particular element of the survey, please contact us using one of the buttons at the top of the page.